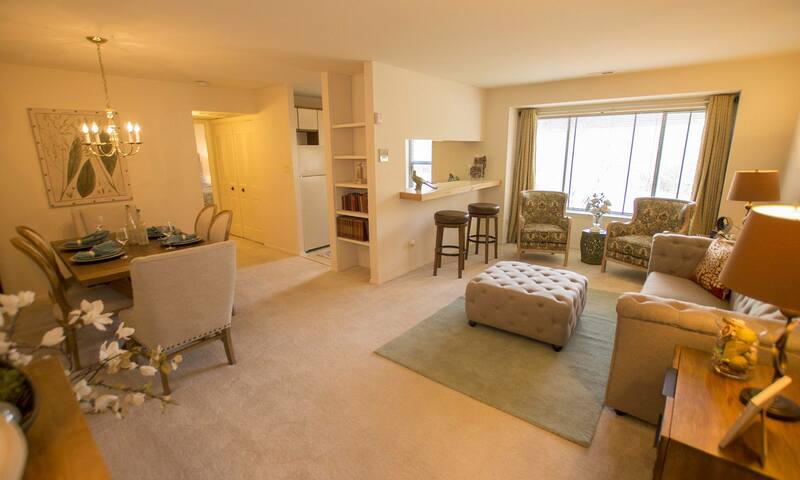 We offer one, two bedroom, and three bedroom apartments for rent. Each of our apartments has a window in the kitchen and a pass-through breakfast bar, many of which have been renovated with the features that are important to you. At the Bluffs at Clary’s Forest and Hawthorne, we have what you need to live comfortably. Featuring a duo of amazing communities, The Bluffs at Clary’s Forest and Hawthorne is located in the Columbia area of Howard County, in the Village of Hickory Ridge and Hawthorne. Learn more about Clary’s Forest and Hawthorne at The Bluffs. Visit our leasing office at The Bluffs at Clary’s Forest, located at 12100-H Little Patuxent Parkway, Columbia, MD 21044. We are open 7 days a week, Monday through Saturday 10am – 6pm and Sunday from 11am – 5pm.